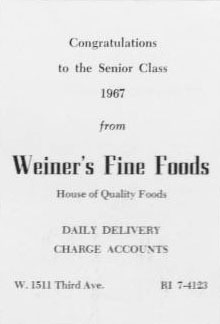 Congratulations to the Senior Class 1967 from Weiner's Fine Foods, home of quality foods. Daily delivery, charge accounts. RI 7-4123.